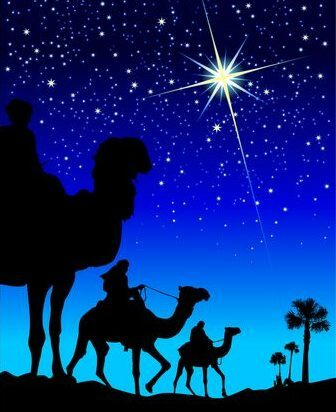 The Feast of the Epiphany, or Three Kings’ Day, is a celebration of the visit of the Magi, wise men from the East, to the baby Jesus the second Sunday after Christmas. In our current age of skepticism and science, the Magi demonstrate how faith and reason can work together. I love the Magi. Hardy, adventurous, and full of curiosity, they are certain of the significance of the unusual phenomenon they observe in the skies, reading the movements of the heavenly bodies. They are smart and intellectually and personally bold, traveling 700 miles through the dangerous desert to complete their inquiry. They believe there is a priceless treasure to be found, the Messiah, the ultimate King of the Jews, whose birth is proclaimed in the heavens, and is worth risking everything to discover.